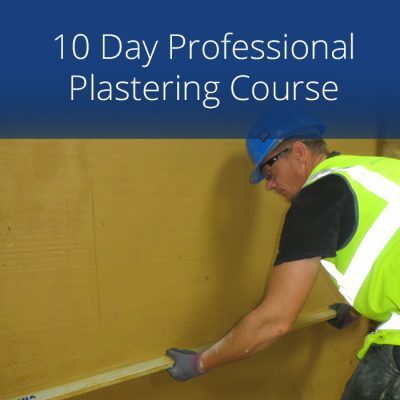 Over the 5 week period, Silver Trowel Ltd will provide a comprehensive plastering training package, in order for you to achieve your qualification, and develop your plastering skills. This will include Health and safety training and appropriate use of PPE. Preparing a variety of back ground surfaces and applying PVA adhesives. Applying plaster board to walls and ceilings. Cutting and fixing angle beads. Rendering a wall and attached pier using appropriate scratch coat and float finishes. Applying finishing plaster (skim Coat) to walls and ceilings. *If you wish to pay a deposit please add the course to the basket and go through the full check out. 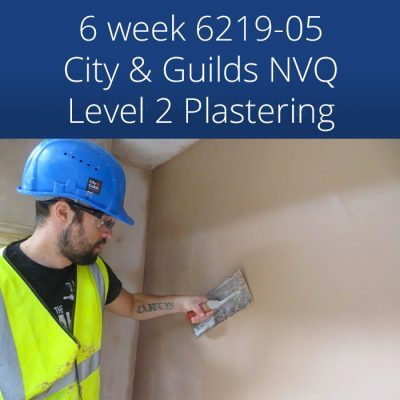 The following are the City & Guilds 6219-05 units you will be assessed on, when attending our 5 week 5 week City and Guilds Plastering Course 6219-05 Level 1 Certificate. Unit 008 Preparing background surfaces and applying render coats. You will remove damaged plaster and clean and prepare background surface, mix and apply render coat, and apply a scratch coat of render. Unit 125 Preparing back ground surfaces and apply finishing coats. You will prepare background surfaces and apply a 2 coat plaster to a smooth finish. Following practical instruction and risk assessments in the work shop, Use of Health and Safety Literature, and a Guided teaching session by a fully qualified Health and safety trainer you will complete your knowledge work book. 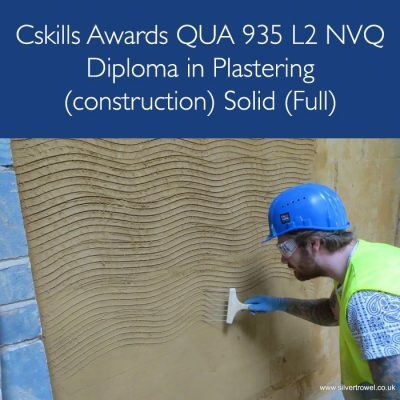 Following practical instruction in the work shop, use of Construction Literature, and a guided teaching session by a qualified trainer, you will complete your knowledge work book. This is a hands on, practical course, and it is recommended that you bring suitable work clothing. For your own safety, steel capped boots are essential. All other tools materials and appropriate PPE will be provided throughout your 5 week course with us. 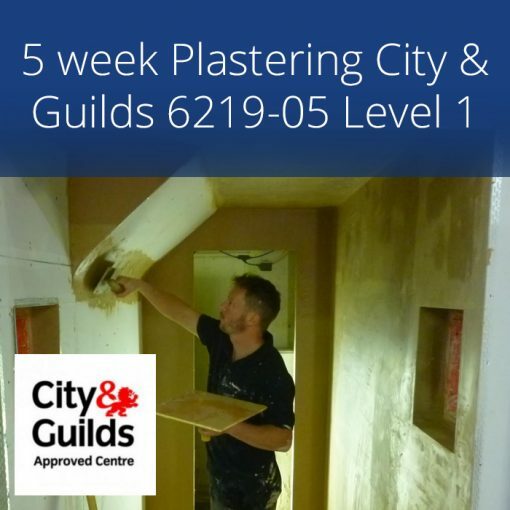 To achieve this City & Guilds Full Certificate you are required to undertake Plastering training and assessment using credits which are achieved by covering various units from the City & Guilds 6218 For this certificate, which can be achieved in just 5 weeks. 5 weeks, Monday to Friday, 9.00am until 4.30pm. (Doors open 8.30am). 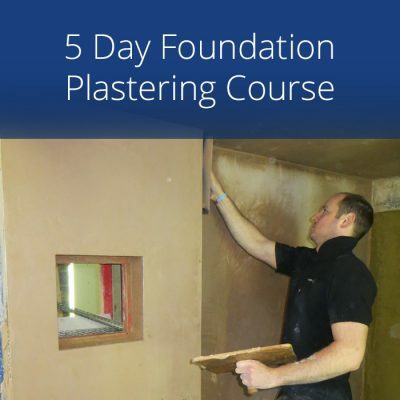 This plastering course has been just great in what I have been taught in its value for money and so much more than. So glad I choose Silver Trowel. Absolutely brilliant I have attended other training courses elsewhere. But Silver Trowel come out on top for professionalism and quality training. Its a shame that I wasted my money with other so called number 1 training centres in the past.. Thanks Team Silver Trowel for giving me the correct skills! A quick update on my previous review……8 months down line from my first visit to Silver Trowel and the business is going great! The 5-week course has really proved to be invaluable in providing me with the skills I needed to get out on my own and set my business up, gain sufficient work and provide a quality service, all of which I am achieving. I Cant recommend it highly enough! Helped by the fact that I was able to stagger my training over a period of time and around my work obligations.. Thanks Colin & Chris. 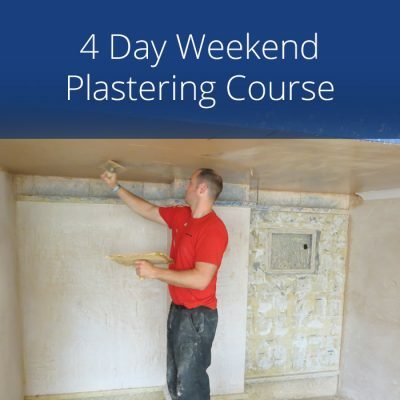 The instructors were “FIRST CLASS” I would definitely recommend Silver Trowel plastering courses to others.. Back for their Venetian plaster course in the future.. Both the trainers Colin and Chris have been exceptionally good teachers for me. 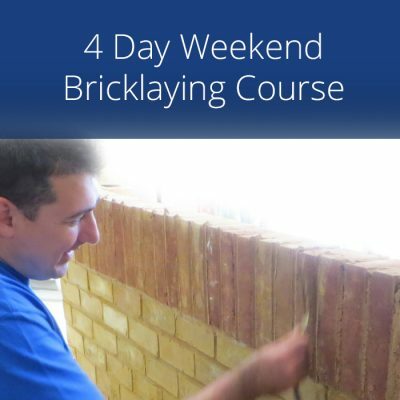 The course has changed my working life situation plus I now have more confidence to tackle larger areas. Both the trainers Colin and Chris provided clear instruction and good feedback of my completed work. I plan to set myself up to work as a plasterer. I would have no hesitation in recommending Silver Trowel to others. For their professionalism.